from the first time I entered the office, I was welcomed in a friendly and professional manner. 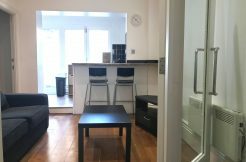 This standard being set it was lived up to throughout my dealings with the Company and I have no hesitation in recommending Cavendish Rowe if seeking a rental property in the W2 area. Good afternoon I’m very happy that I saw one day your Cavendish Rowe Agency and meet such great people like Mr. Aravin and Ms. Lili. The apartment it’s great and I m very happy for my choice. Thank very much Mr. Aravin and the agency team !!! Please open the following attachment to read a letter from one of our many satisfied purchasers. My husband and I have had the pleasure of dealing with Cavendish Rowe team since 2001 when we moved to London. Over the years they have always assisted us with buy-to-let property search, looking for tenants, managing the property and more recently in selling our flat. Lily has had immense patience with us (especially me), regularly going beyond the call of duty to keep us and our tenants satisfied. Whatever your expectations Cavendish Rowe will deliver on them. Thanks again! Amazing team & agency! Thanks to Cavendish Rowe my fiancé and I found the perfect flat. I mostly interacted and worked with Lily, which was very cooperative at all times and really involved to help us getting the desired apartment. Totally recommend Cavendish Rowe! For the last 8 years, I’ve used Cavendish as my letting agent. The simple reason why I’ve been with them so long is because I get a first rate, personalised professional service which has never wavered throughout the years.